Steamboat Springs lies in the beautiful Yampa Valley of the Colorado Rocky Mountains. A true year round destination, Steamboat Springs is a magical place where you can experience legendary Champagne Powder®, a summer getaway in Bike Town USA®, and some good ol’ western heritage. If you’re ready for your next adventure, you’ve come to the right place! 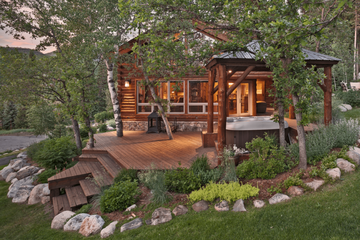 Steamboat Lodging Company is a locally owned and operated vacation rental management company, with exclusive vacation rentals in the Steamboat Springs area. 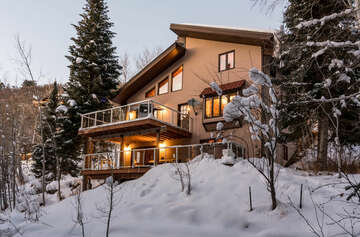 Our carefully selected collection of properties salute every interest, with options for both downtown Steamboat lodging and Steamboat Ski Resort lodging. We are more than just a vacation rental company, and our guest reviews reflect this. We pride ourselves on delivering a 5 star service to our guests and property owners. From in-home ski rental services, to a 24 hour emergency line, we will do everything in our power to provide our guests with the best Steamboat Springs experience. Our mountain vacation experts are available 365 days a year, to help you plan and enjoy every second of your Steamboat Springs vacation. 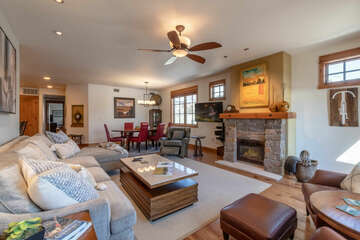 "We loved this townhome near the base of Steamboat! Our group loves to cook and the kitchen set up was great. We also loved the open floor plan and at one point we had two different football games on. The only issue we had was our grocery delivery, but the staff at Steamboat Lodging Company made that right fast! They brought over the items we needed within an hour. Thanks for a great trip and keep up the good work you do!" "Great stay in Steamboat- and the four feet of new snow helped make the vacation pretty exciting. We loved the great room with large windows, comfy furniture and stone fireplace. Our kids stayed up one night playing scrabble for 4 hours. So much fun- thanks for a memorable vacation!" "My wife and I loved this place. It was in the heart of downtown and we walked to breakfast and dinner every day. We also enjoyed the Core Trail and checking out the ski jumping over at Howelsen Hill. Thanks for a great vacation." "Great Service-beautiful townhouse with plenty of room for our group!" We believe that the best vacations are those which are effortless from beginning to end. Our team of friendly, knowledgeable staff, are ready to help at every stage of your vacation, from picking the perfect lodging accommodation, to arranging lift tickets and rentals, to planning that special surprise. We are your one stop shop to turn your dream vacation into a reality.